REVIEW - Rainbow Six Siege - Use a Potion! I remember my first glimpse of Rainbow Six Siege at E3 2014. I was intrigued; the wall blasting, hostage saving, team focused gameplay instantly appealed to me, especially in a generation where shooters seem to have slowly depended less on teamwork and tactical prowess. Add in the fact that Rainbow Six Vegas and its sequel on last-gen consoles were two of my favourite games to play and I knew we were in for a treat. Unfortunately, the closer we got to release the more my hyped waned – mainly due to the revelation that the game wouldn’t include a single player campaign. Previous Rainbow Six campaigns had been enjoyable to play through, always offering exciting missions and a vintage Tom Clancy narrative; its omission could only hurt the title. 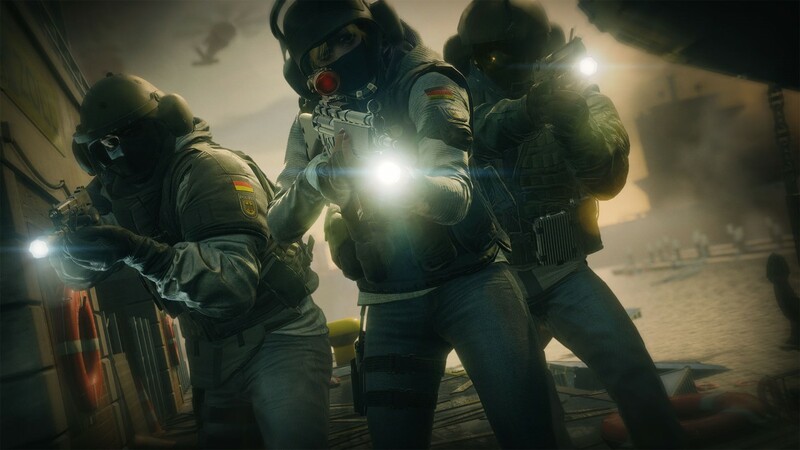 With a focus purely on multiplayer gameplay the question lingered – could Rainbow Six Siege offer a deep, entertaining experience based on its multiplayer merits alone? The main multiplayer mode consists of five versus five team based gameplay with each team taking it in turns to attack or defend an objective. The first team to win three rounds is declared the victor. Each round begins with a preparation phase – the attacking team will control drones that try to seek out the objective whilst the defending team will set up a defensive perimeter around the objective. Proper preparation can be the difference between winning and losing a round – if you don’t find the objective the odds can be stacked against you, whilst a lacking defensive perimeter will be obvious when you have a team of five attackers shooting you down. 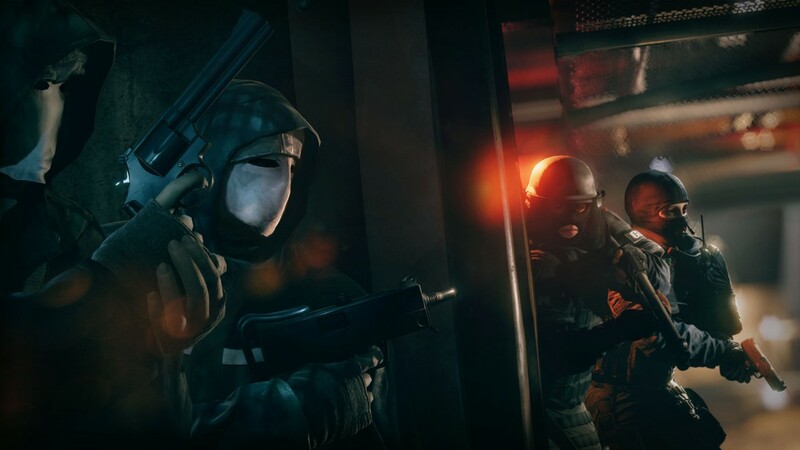 One of Rainbow Six Siege’s main new gameplay hooks is the breaching of defences. Players are able to breach, smash or blow apart the environment surrounding objectives, meaning attacks can come from anywhere. You may think that you’re safe tucked in the corner of a room hidden behind a desk, but when a player smashes through the wall behind you and takes you out with a clean headshot, you realise just how vulnerable you constantly are. You can counter this by putting up barricades to reinforce the surrounding walls, but enemies will still find a way through if you’re not careful. Of course, if you’re one of the players blowing up the walls, ceilings or floors then you’re going to have a blast – quite literally. It’s a pleasant surprise just how much of the environment is actually destructible; you can even just cut tiny holes in walls, allowing a little peep hole for you to aim through and quickly wipe out all occupants of what was considered a safely reinforced room. There’s a variety of ways to break through into a room – whilst the standard breach charges are effective, you’ll also be able to shoot your way through barriers or even rappel down the side of a building, smashing through a window with your body and taking foes out with a surprise assault. Some characters even have specialist abilities that can be used to break your way through the environment. Rainbow Six Siege comes with a strong character selection with twenty unique characters to choose from (or twenty one if you include the flexible ‘Recruit’), each based off real-life special force units such as the British SAS or the American FBI Swat team. The characters are broke down into ‘attackers’ and ‘defenders’. 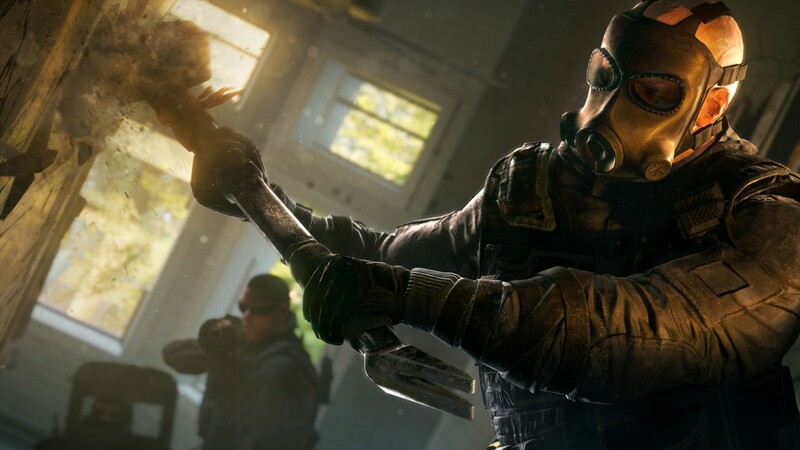 ‘Attackers’ come with abilities that will give you the upper hand on the offensive – you have the likes of Sledge with his heavy-duty, environment destroying sledgehammer or Ash with her long range breaching grenades. 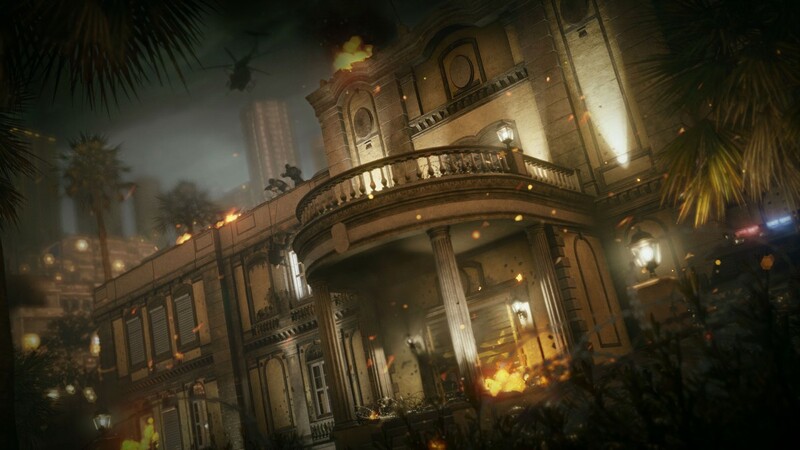 Of course, it isn’t just environmental abilities that the ‘attackers’ have; characters like Thatcher allow you to wipe out enemy electronics in the area with EMP grenades whilst Twitch comes equipped with a drone that can disable traps and give enemies a small electronic shock. ‘Defenders’ on the other hand come with abilities that will really help you out whilst defending an objective. Castle’s Kevlar barricades offer a much stronger form of protection whilst Rook offers each player a little more protection with stronger armour. One interesting ability is that of FBI Swat member Pulse – he is able to detect enemies through walls by tracking their heart beats, allowing him to anticipate where attacks are going to come from. Each character offers a unique ability that can make a huge difference in the heat of battle. Players will have to work to unlock each character though – you’ll only have access to the ‘Recruit’ when you start the game. Characters are unlocked through the use of renown, the currency you unlock from playing or winning matches. Whilst this system offers a sense of progress through the game, the ability to be able to control any character from the start may have been appreciated by some players. That being said, renown comes in thick and fast so it won’t take you too long to unlock all characters and it does give you something to work for. The bulk of your time in Rainbow Six Siege will be spent playing the multiplayer mode so it’s fortunate that it’s great fun to play through. With the variety of characters on offer and the differing style of play of your team mates, each match feels completely different. I had some battles where my whole team was communicating, carefully co-ordinating our attacks and defensive preparations to ensure that we each utilised our skills effectively to wipe out our foes. Alternatively, in some matches I would go rogue, heading off on my own beyond my objective and team mates as I tried to wipe out enemy foes one by one. There are so many different possibilities on how a match could play out that one tactic may work one time whilst another time it could result in constant death. Despite these varying possibilities, there is always one constant – the game is great fun to play. There’s one area in which Rainbow Six Siege really excels – the sound design. I’m not talking about some fancy orchestral score (in fact you’ll barely notice much music in the game) but instead the fantastic utilisation of sound effects. The hallways of maps will echo with enemy footsteps or the explosions of your breaching foes; it actually made me feel nervous at times, especially when you’re left on your own and can hear the footsteps of your enemies around you. The same goes with explosions; if I heard one, I’d be carefully looking around me for the dusty remains of a destroyed wall. It’s nerve-wracking hearing these sounds around you, but it’s so impressive that a game has managed to make the simple sound of footsteps put me on edge. 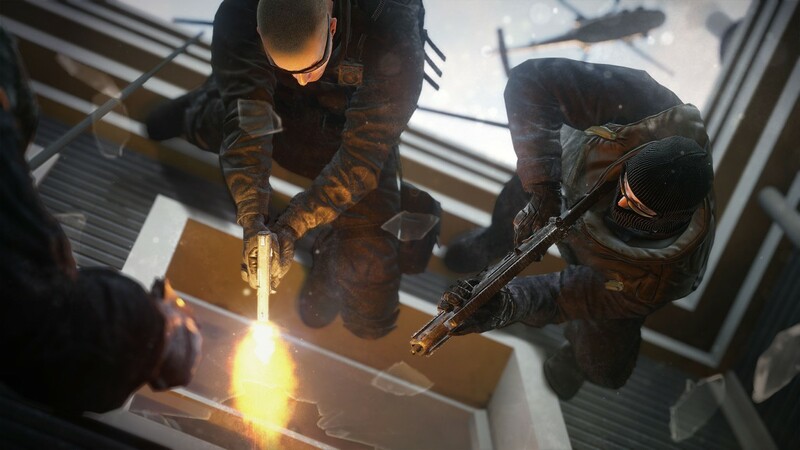 Of course, Rainbow Six Siege’s multiplayer isn’t perfect. With the focus on multiplayer gameplay, some players may feel let down with only eleven maps to play through – especially since some of them can start to feel a little familiar aesthetically. Whilst the game is gorgeous to look at, there is a common urban theme that makes up the bulk of the maps resulting in a few of them feeling a little too similar. Ubisoft has promised that all future maps will be free though, and with the variety of ways to play it doesn’t really pose that much of a problem to players. The lack of different game modes is noticeable too – even though there are different objectives in each match, you are effectively tasked with doing the same thing each time. You can alternatively play Rainbow Six’s classic ‘Terrorist Hunt’ game mode where you take on a variety of AI opponents with team mates, but even that doesn’t feel like much of a change from the multiplayer game mode – especially since it tasks you with the same objectives of the competitive multiplayer game modes. These objectives can sometimes feel a little redundant too. Most matches I took part in were won or lost through a team being wiped out as opposed to completing an objective. I spent over twenty hours with the game and I think less than ten matches were won through objectives being completed. I’ll admit though, I didn’t find this much of a problem; I enjoyed trying to take out enemy opponents more than I did capturing an objective or rescuing a hostage, and the fact there is something to protect means that the defending principles of the game have some worth. It’s just a surprise that considering the games emphasis on objectives, they can just as easily be completely ignored. I mentioned that Rainbow Six Siege comes with a lack of a single player campaign, but that doesn’t mean there’s no single player mode on offer. There are ‘Situations’ to play through, each putting you in the role of a different character and tasking you with a different objective. These ‘Situations’ are pretty enjoyable – whilst the maps are the same you’d have been playing through during the multiplayer mode, the layout of enemies and optional goals the game provides you with means that it’ll take a fair amount of time before you manage to perfect each mission. There’s a variety of difficulties to play through too, offering even the most veteran Rainbow Six players a tricky challenge. I asked at the start of this review if Rainbow Six Siege could offer an entertaining experience on its multiplayer merits alone, and the answer is an astounding yes. The game is great fun to play and with a rich variety of characters to play as and the unpredictability of your team mates or opponents, each match feels fresh and exciting. The game looks great visually too, and offers some of the finest sound design I’ve encountered in any video game.